Located in Fairfield County, Monroe, CT is a quaint New England suburb with lots character and charm. Monroe is a family-oriented community with an excellent school system, recreational facilities and a variety of houses of worship. Founded in 1823, Monroe is an outstanding community of nearly 20,000 residents. Monroe offers award-winning schools, safe neighborhoods, beautiful parks, and growth in local business and industry. We offer the convenience of several restaurants and retail shopping while maintaining a New England, small-town charm. 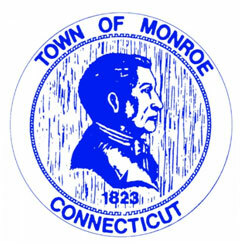 Monroe, named after James Monroe the fifth President of the United States, serving from 1817-1825 is a growing community in Fairfield County Connecticut. The Town of Monroe Connecticut was incorporated in 1823. Monroe has seen many changes over the past years since it was incorporated, from being a predominantly farming community to a suburban community that maintains itself through progressive economic development. Our recreational facilities such as Wolfe Park, Great Hollow Lake, Webb Mountain and the Rails to Trails bike paths provide enjoyment for all.